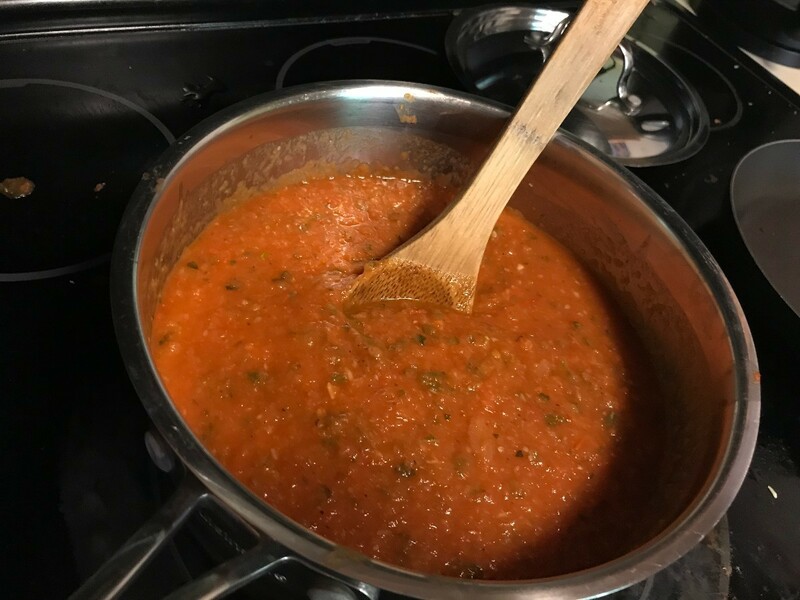 A delicious tomato soup to make at home year round with a basic marinara sauce flavor. 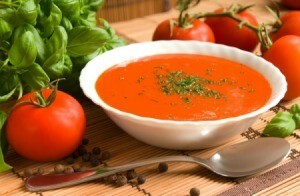 This page contains a roasted tomato soup recipe. 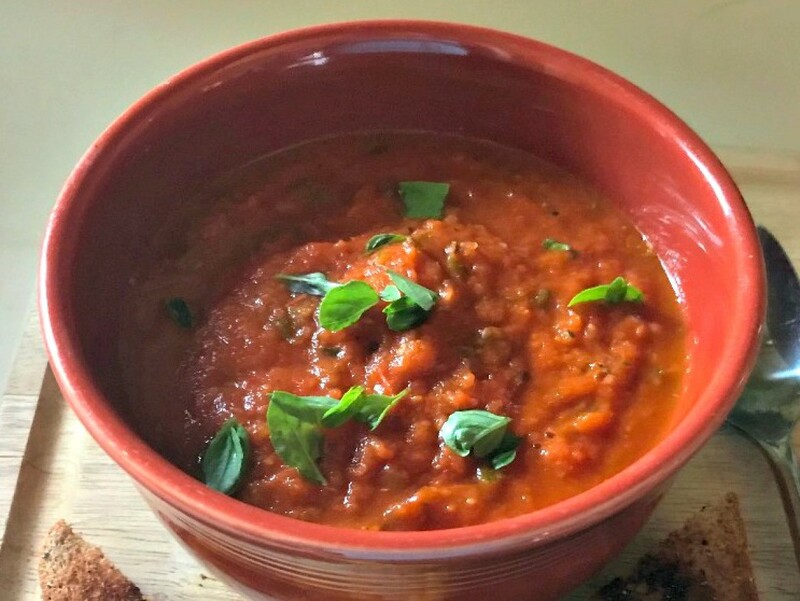 This recipe uses roasted tomato and zucchini to impart a deeper flavor to this basic marinara sauce. 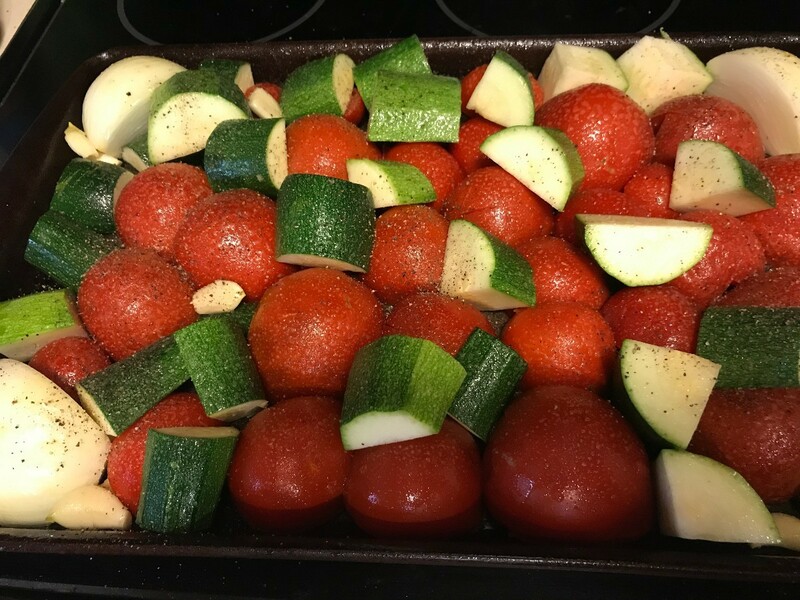 The vegetables could also be grilled instead of roasted in the oven. 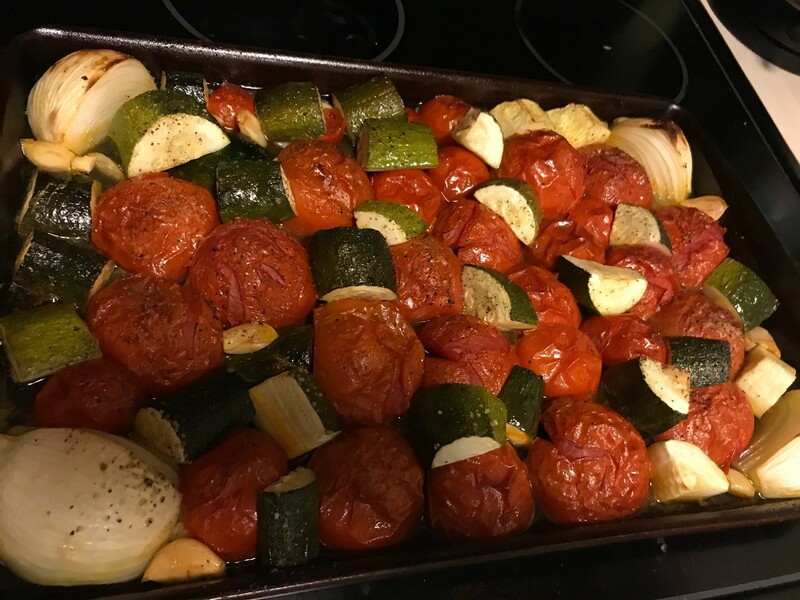 I originally made this in the summer, when these veggies are in season but I didn't get it posted until now. 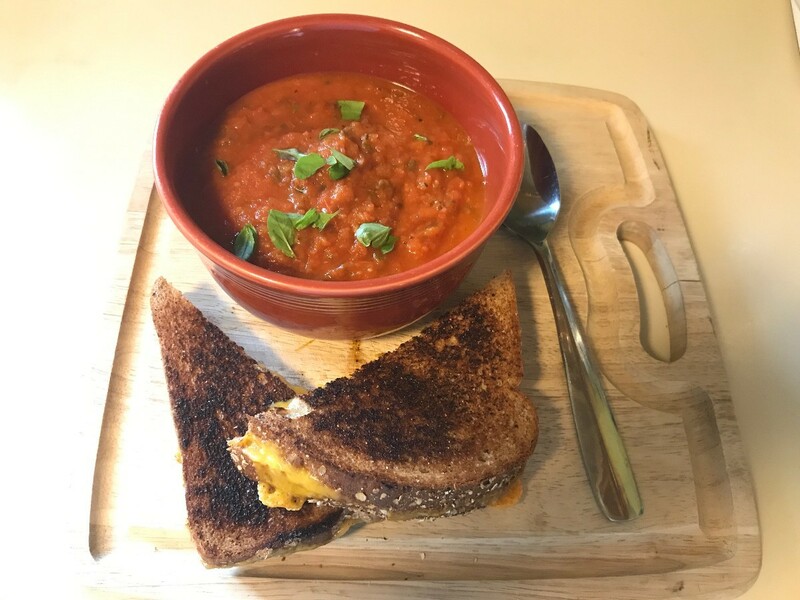 Serve with a gooey grilled cheese sandwich for the perfect comfort food for a cold winter's night. 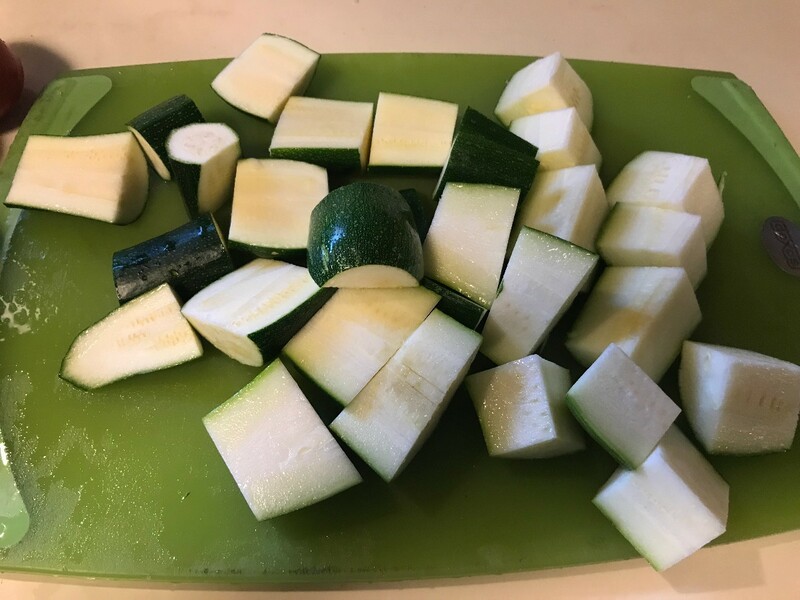 Cut vegetables into similar sized chunks. 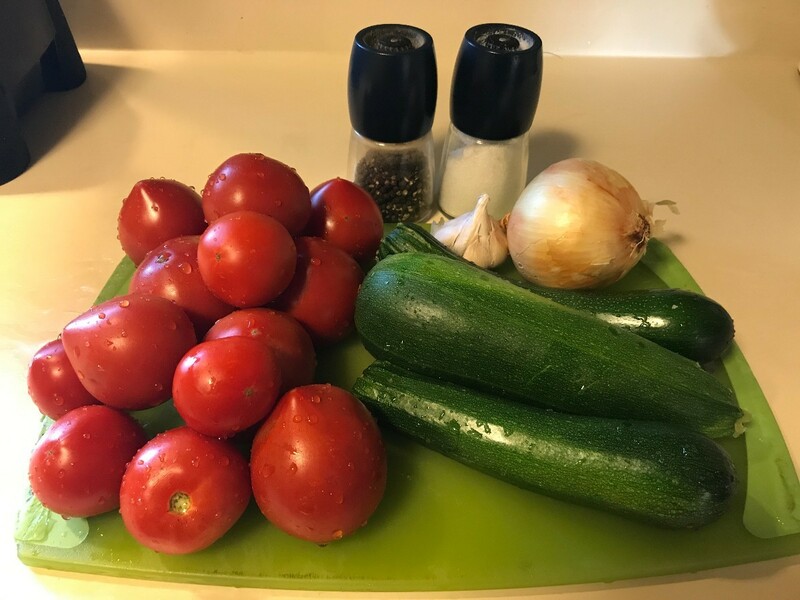 I quartered the tomatoes and onion and cut the zucchini lengthwise, then roughly chopped it. 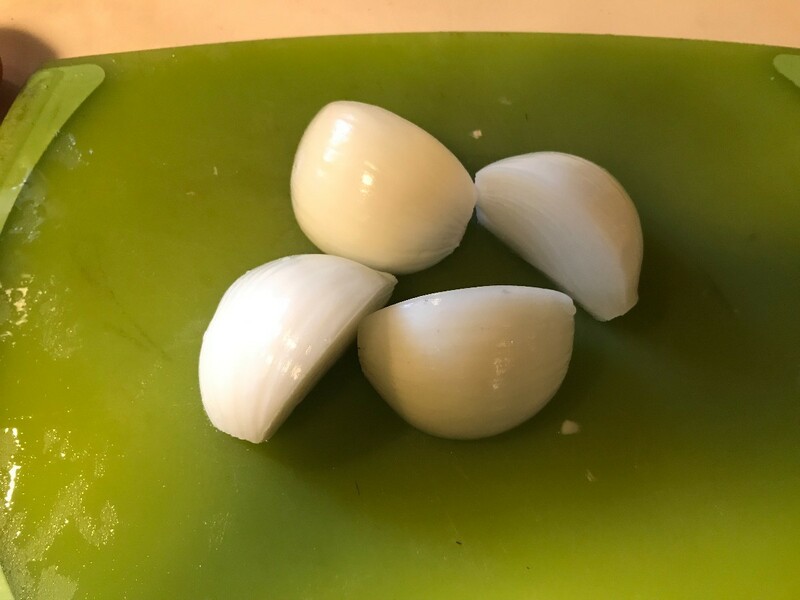 The garlic just needs to be peeled. Add all chopped vegetables (except basil) into a large bowl. Add oil, salt and pepper and mix to coat the vegetables. Pour out onto a large baking sheet. Bake at 350 degrees F for about an hour, until the vegetables are turning brown and are looking soft. Allow them to cool for a few minutes. 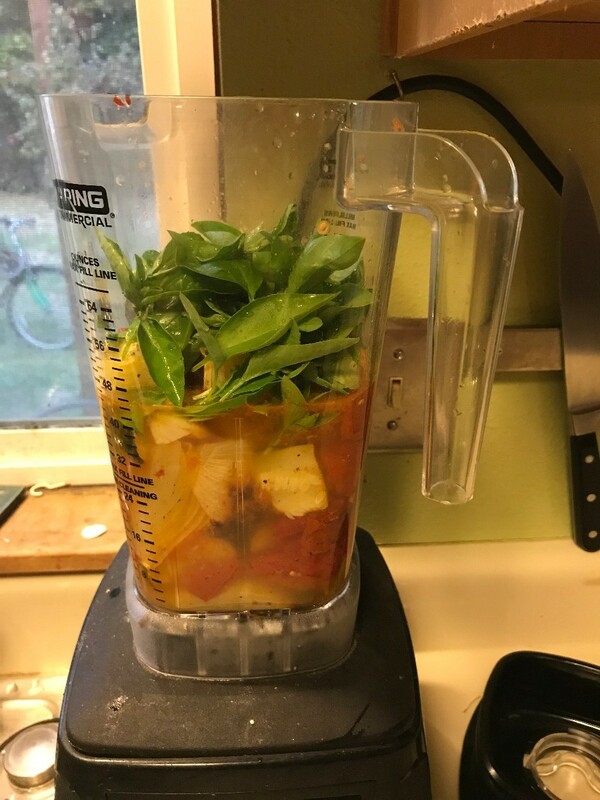 Add all vegetables to a blender, adding in the basil and enough water or broth to enable the blender to run properly. Pulse until it is the proper consistency. 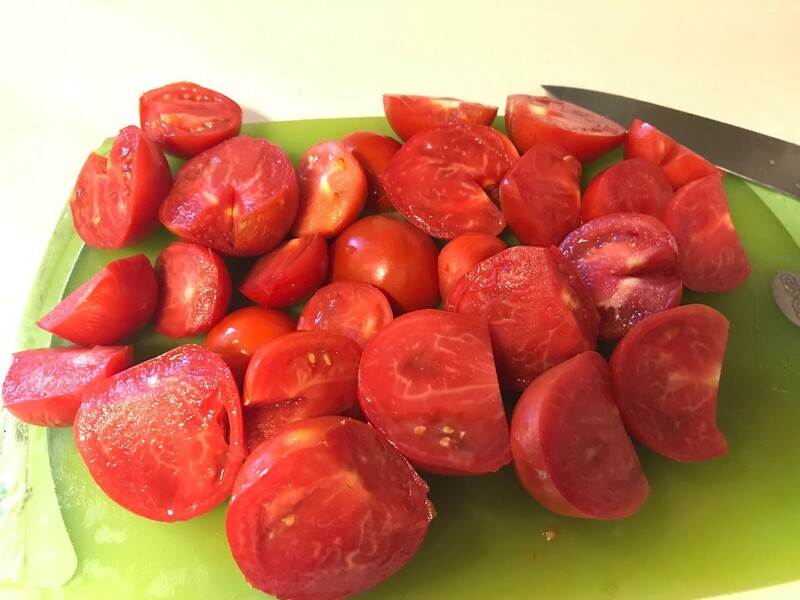 If you prefer chunky vegetables instead of a smooth soup, just reserve a few to blend slightly at the end or chop them to the desired size. Add blended soup to a large pot and simmer for at least 15-20 minutes. Add water and additional spices as desired. Serve with a garnish of basil or a sprinkling of cheese. Or, of course, a grilled cheese sandwich for dunking. Im going to try this. 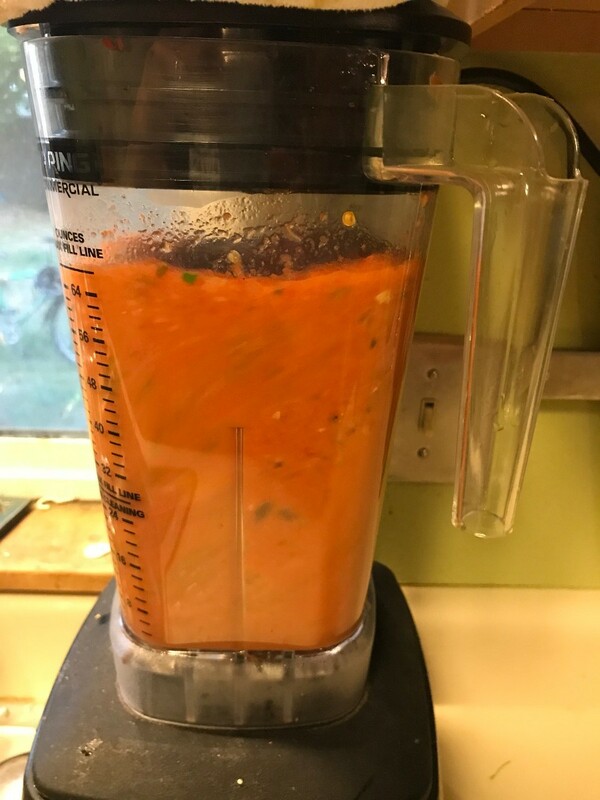 Those who own an immersion blender can put the vegetables in the soup pot and blend them in there.